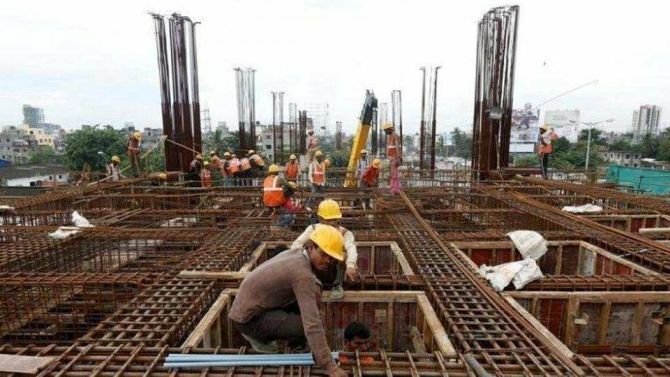 Property construction projects to the tune of Rs 1 trillion and infrastructure projects worth nearly double of that in Maharashtra will be stuck in the pipeline till October 9, with the Supreme Court’s (SC) recent ban on construction activity in the state. The cash collection of developers as well as their costs and litigation are going to rise as a consequence. On Friday, the SC imposed a blanket ban on construction activity in the state as well as in Madhya Pradesh, Uttarakhand and Chandigarh after they failed to comply with an earlier order to come up with a solid waste-management policy. Now, developers are worried about how this will affect their business. “This will delay interest payments, wages and projects. People will lose their jobs. Litigation will go up, as buyers will go to court under the Real Estate (Regulation and Development) Act or Rera, and developers will say it is due to court order,” said Rajiv Talwar, chief executive officer (CEO) of the country’s largest developer, DLF, and chairman of the National Real Estate Development Council (Naredco). Around 576,000 housing units, worth Rs 4.64 trillion, are delayed in seven major cities of the country, property consultant Anarock said recently. Talwar said if the elected bodies did not carry out their tasks, everyone will pay a price for it. “If authorities neglect these things, there will be heavy impact in the long run. Buyers will not get apartments on time and developers won’t get approvals,” Talwar said. In March this year, the SC lifted the ban on construction in Mumbai, which was imposed by the Bombay high court in March 2016, because of dumping problems. “Only some corporate developers can withstand the ban. For mid-level developers, who are already struggling with various compliances under Rera, the Goods and Services Tax, and delay in approvals, the ban will threaten their existence,” said Amit Goenka, CEO at fund manager Nisus Finance Services. Goenka said his firm was studying the issue and would take a call on whether to disburse funds to projects in Maharashtra. Niranjan Hiranandani, chairman and managing director of Hiranandani Communities, said more than the developers, the ban will affect the livelihoods of workers at the construction sites. “If the work is stopped for a month, their September wages will not be paid,” he said. “Perhaps, it would have been better if the court had penalised the state administration and barred new construction, while allowing ongoing projects to be completed,” he added. However, after the SC verdict, Maharashtra Chief Minister Devendra Fadnavis said that the state had already formulated a solid waste-management policy and rules. The government would present the detailed information to the apex court and request it to lift the ban. Will Rera, festive season boost India's realty sector?